Gruppo Gamma is a well-known name for micro-brand fans; The Singapore based manufacturer, with a very low production of 1.000-2.000 watches per year, is also considered by its fans to be one of the “best manufacturers of Panerai hommages”, but more on that later. In the following blog post we want to take a closer look at the history of combat diving, its watches and the current collection of Gruppo Gamma Vanguard, Chrononaut and Peacemaker. 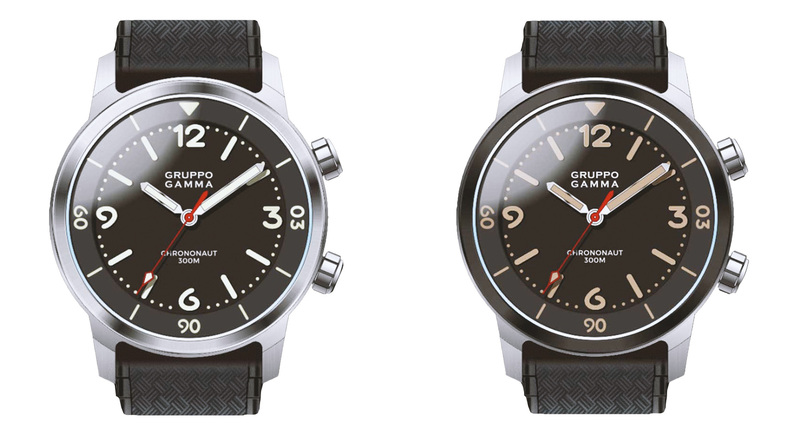 In 2013 Gruppo Gamma was founded by Naoki Tsukumo in Singapore and specialized in diving watches. 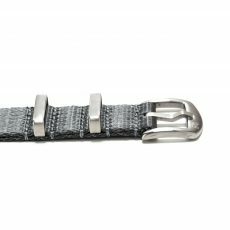 More precisely, the design is inspired by historic Italian combat diver watches. During the Second World War a unit of elite combat divers formed to the so called “Gruppo Gamma”, of the naval special forces unit “X Flottiglia MAS” which was founded in 1938. The Italian military was the first to create such an elite naval force; Later in 1943 the German navy moved in and had their combat divers trained by the Italians. Such a tough and dangerous job needed rugged, high quality and accurate timepieces that are unimaginably important to any type of dive and the Swiss were ready to deliver them. At that time, the name Panerai was associated less with wristwatches than with maritime measuring instruments. That is why the first Panerai Radiomir watches for the combat divers had a Rolex movement and also the case was made by Montres Rolex Genève. A preserved combat proven Panerai Radiomir has this informations engraved on the bottom of the watch case, together with the Italian troop name “X. FLOT M.A.S. 01″. It’s not a big surprise, because Rolex has achieved, among other milestones in its history, its fame by developing the first watertight wrist watch in the world; The Rolex Oyster. The case shape of combat diver watches is based strongly on the first Rolex Oyster so called “pillow case”, but they were much larger than the usual wristwatches in this times. This ensured that the watch remained easy to read during the dive mission. If the divers operated in the murky and dark harbor water and sneaked up on enemy warships, the sheer size of the watch did not help either – they needed a fluorescent paint. To achieve readability in the dark, a highly radioactive fluorescent paint called Radium was used for watches before 1965. This paint gave the model “Radiomir” its name and many other watch manufacturers used this paint. – Radium has half-life of incredible 1622 years! Earlier, however, radium compounds were initially considered to be relatively harmless. 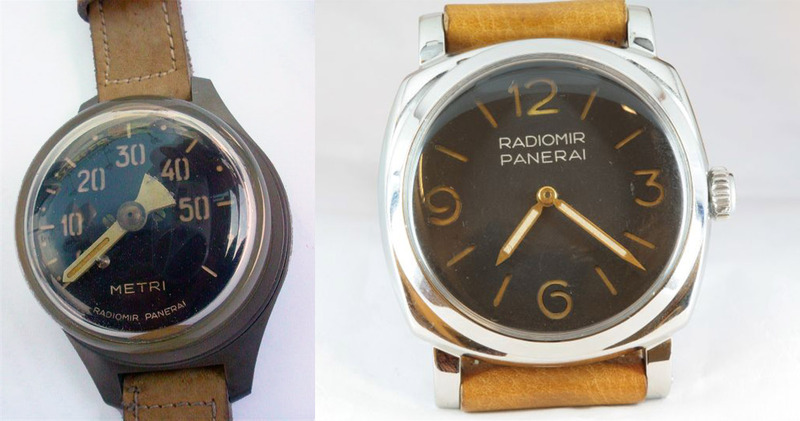 If you are interested in the topic of historical dials, check out the extremely detailed report on historic Panerai dials by the blog Perezcope. In the last 80 years many things have changed in watchmaking; Nowadays it’s more probably that combat divers today rely on state-of-the-art dive computers and luminous colors on watches are fortunately no longer radioactive. The Japanese company Nemoto & Co. Ltd. developed luminous color called “Luminova” that contains no more radioactive substances. It consists of inorganic, phosphorescent pigments, which release the absorbed energy of artificial- or daylight in the form of visible light. But one thing the manufacturer Gruppo Gamma does not want to lose and wants to revive it: The historical design. Besides Super-LumiNova luminous paint they use particularly stable and corrosion-resistant precious metals such as 316L stainless steel and CuSn8 bronze today. The models of the collection Vanguard and Peacemaker come closest to the historical design: 44 mm big “pillow cases”, vintage leather straps, easy-to-read and bright luminous digits with Super-LumiNova. The models Vanguard Retro AG-12, Retro AN-13 and Peacemaker PN-17 and PN-18 even have sandwich dials. The special feature of sandwich dials is that the dial (as the name suggests) is multi-layered; From the first top dial the indices are skeletonized and below the luminous color is recessed on the base dial. That makes the luminosity very intense! In order to achieve a strong luminosity in the models without a sandwich dial, the luminous paint is applied a little thicker. 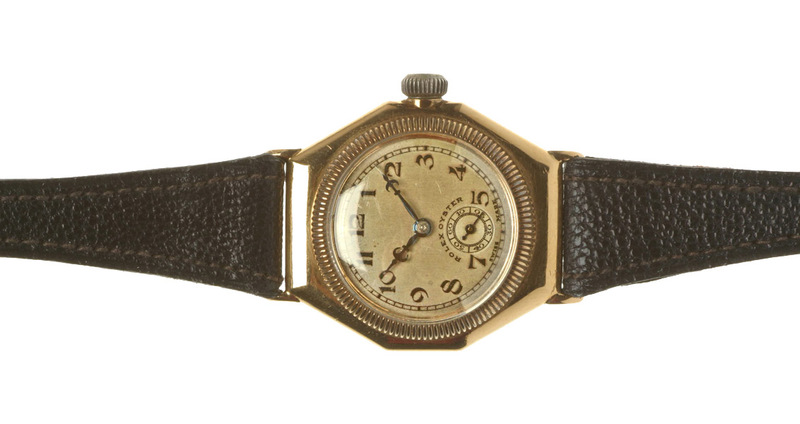 The Retro AN-13 model features an untypical dial with a mix of Roman and Arabic numerals. The so-called “California dial” was designed by Rolex for Panerai in 1941 and produced by Stern Frères S.A. in Geneva. The California-dial was designed to be an “unmistakable dial”; Horizontale markers at 3, 6 and 9 o’clock, a triangle shaped marker at 12, arabic numerals at 4-, 5-, 7- and 8 o’clock and roman numerals on 10-, 11-, 1- and 2 o’clock should provide unmistakable orientation of the position of the watch. The cases are made of brushed 316L stainless steel and CuSn8 bronze. The AG-16, AV-16 and AN-17 models have crown guards and a one-sided rotating bezel with a luminous dot. 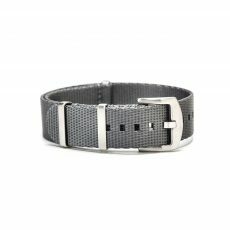 The AV-16‘s stainless steel case has a so-called “gunmetal finish”. It resembles the metal surfaces of old weapons such as e.g. cannons, whose metal surface is oxidized by heat and natural influences. This gives the watch a very cool vintage look. Both model lines are powered by a Swiss ETA 2824-2 automatic movement, which can be seen on the model Peacemaker through an anti-reflective sapphire glass bottom. All sapphire glasses in Gruppo Gamma feature an anti-reflective coating. More great pictures and Wristshots can be found on the Instagram page of Gruppo Gamma. The new designs of the collection Peacemaker will be delivered in February 2019. The Chrononaut by Gruppo Gamma wants to revive the unique design of “Super Compressor” diver watches with its double crowns. With the internal rotating rehaut the time of diving can be adjusted and it is operated by one of the two screw down crowns. 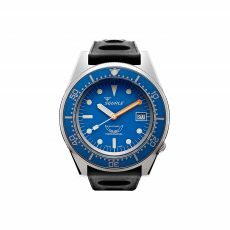 In most cases, dive watches have an outside rotating bezel, but this can be touched easily and adjusted wrongly during the dive. Therefore, an inner rehaut which can’t be adjusted once crown is screwed down is much safer. Like the model Peacemaker, the Chrononaut has a glass bottom that allows a view of the Swiss STP1-11 movement and the decorated rotor. 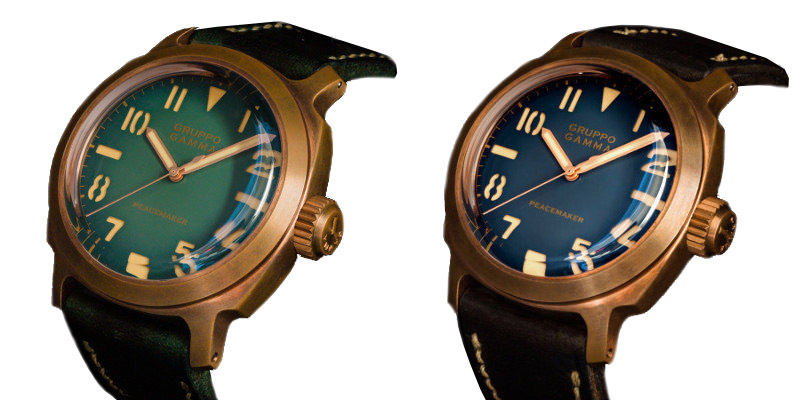 Discover now the Gruppo Gamma collection at WatchBandit! Explore our curated Collection: From Minimalist Automatic Watches to Sophisticated Mechanical Watches. 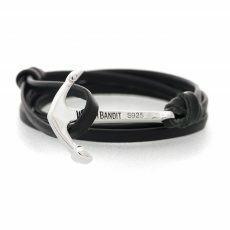 If you are looking for a new Add-On for your wrist you may find yours here: Anchor Bracelets, Braided Leather or Miyuki Pearls, what's your seasonal Fav?